Taking an (ahem) departure from films for the moment, master film director Martin Scorcese is making television commercials. The bushy-eyebrowed cinematic genius is directing the latest spot for Chanel’s next men’s fragrance. Smells intriguing and a little bit too much all at once, n’est pas? The ads will hit the airwaves in September, featuring the face of the fragrance, French actor Gaspard Ulliel. This is not the first time the House of Chanel has turned to the movie theatre for inspiration, but likely the most epic in proportion. It’ll be interesting to see what Scorcese’s thick glass view will bring to advertising – and to fashion. 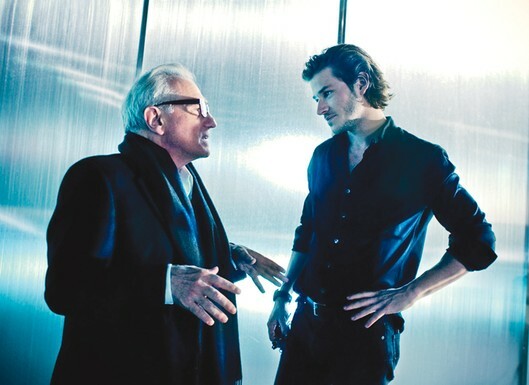 Scorcese with Ulliel on set at Chanel. With files and image from WWD.